Of what use is a country that cannot protect its own citizens? Who stole the peace of Nigeria? Who let evil men take the rein? Who is responsible for our citizens? Who is in charge of our national security? Are we safe in our country? If we are not, who is paying the price of that incompetence? Who cares if Nigerians are at a daily risk of being bombed in the north, kidnapped or beaten by hoodlums in the south? There are bombs and rumours of bombs, but are there no repercussions on the part of the incompetent lot responsible to keep our people safe? If our president needs 5000 police personnel and another squad of military men to visit a part of his own country, is that his way of accepting the nation is at war with itself? If the nation is at war with itself, is it an act of responsibility for its supposed leader to take a break from work? Does anyone really care if Nigerians living in the north all perish in the hands of Boko Haram? Who really is Boko Haram? Which of the Boko Haram versions kills Nigerians who know nothing about Boko Haram’s supposed demands and leaves Nigerians who daily milk the economy dry through corruption and bad governance? The President once claimed that there were Boko Haram members in the Presidency, how many of them has he sacked? Are those ones the only ones he is negotiating with? Will they also get national honours like the regular looters of our common wealth? If there are no disincentives for killing Nigerians, when will the killers stop killing Nigerians? Did anyone say June? Is it safe to say whoever opens his or her mouth to say Boko Haram bombings will stop in June is either a leading member of one of the Boko Haram factions or such a person spoke under the influence? Of what use is a country that cannot protect its own citizens? How much damage do the travel warnings released by the United Kingdom and the United States do to our economy and the image of our country? Talking about the economy, what is the cost of not being able to power Nigeria? If most companies spend some 40 per cent of their production cost on private power generation, would it be safe to say we are losing jobs by keeping our country in darkness? Do we need angels to fix our power challenge or we need leaders who will be ready to step on toes in order to get results? Will investors invest in power considering the paltry sum we currently charge as electricity tariff? Is it impossible for all the States to produce their own power for their own residents? Are the laws preventing this from happening unchangeable? Like fuel subsidy, is there a cabal that feeds fat on the darkness in Nigeria? Are they also regular donors to the ruling party? Do they also build CSR churches? Can a bribee take a bribe and not do the bidding of the briber? If the payer calls the tune of the piper, when will the piper get to play the tune the people expect to hear? When will the Nigerian government be a government for the people and not for cabals? Will members of the petrol subsidy cabal ever go to jail? If we all agree they contributed to the President’s campaign chest, will immunity be broken to ensure the President sticks with his friends in jail? If that is not possible, when will Nigeria create disincentives for corruption? Will people ever stop committing crimes if they know there are no punishments for crimes committed? When will government in Nigeria be of laws and not of men? When will the people ever matter in the affairs of government? Do Nigerians have the resources to demand for their rights? Can a hungry man ask for rights if he has no food? Can a naked man complain about torn clothes if he gets one thrown at him? Were our people impoverished by the ruling class to keep them slaves in their country? Was our school system damaged to ensure our youths do not get the right education that births thinkers? When will the National Distraction Album play songs of development? When will our politics be about our people? When will real men take a stand for Nigeria? Is this the democracy we fought for? Who will answer my questions? Why is it that when someone criticizes a post or an article, they're tagged as being 'anti' or haters. Jeez! Is it impossible for all the States to produce their own power for their own residents? Are the laws preventing this from happening unchangeable? Answer: Yes, states can now generate power for residents http://www.scribd.com/doc/86856985/NERC-Regulatio…. That is why Omojuwa pointed to the fact that it seems the Political class has intentionally damaged our Educational System so we don't have thinkers. Sorry to any offended but I actually saw some unenlightened comments up there. I guess the question session started a bit slow, but it warmed up, to the extent of 'spitting fire' towards the latter parts. Thumbs up man, this is fresh, novel and refreshing…and to the anti Omojuwa voltrons, the sense that is supposed to be common, is supposed to have conveyed to you that ur mumu leaders which you mumu-ingly elected are supposed to answer these questions. Though as simple as the answers are, I guess they are too complex for the so called 'leaders'and for 'u' their followers' deluded and inferior brains to decipher! Are you guys just reading the article as questions? Can't you read the messages therein? The questions only reveal the absence of governance and the dearth of competence; read again. So,u know our current power tariffs are not investor-friendly?Why then were you ranting a few months ago when it was reported that NERC was about to increase electricity tariffs. I suspect your mentor (El-Rufai) must have called you aside to lecture you on the need for a new pricing regime.You're obviously a good student. This has always been the same questions every reasonable Nigerians have been asking for ages, thanks for bringing these questions up again. Kudos!!! Just Hatred. Ask @elrufai he will answer with all the money he stole. I would be real and truthful about my comment. Sincerely @omojuwa, I expected more from this article. All the same, keep the pen running hoping one day, this questions would not be needful again. Until we take the bull by the horn once more. Just until then. and i see the day approach. 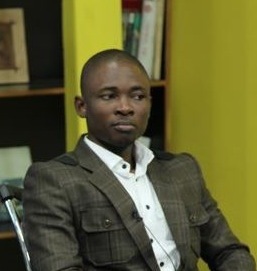 Thanks Omojuwa for this wonderful, inspiring piece.